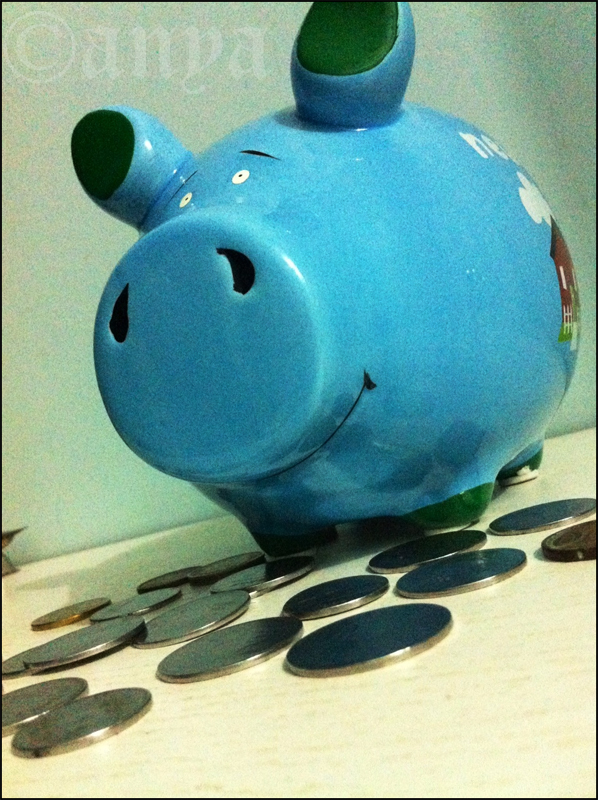 Day 16: A good habit: Oink, oink, I’m the sound of money! This entry was posted in Photography and tagged 30 day photography challenge, good habit, photomeme, piggy bank, savings. Bookmark the permalink. With Swetha, Aparna and Manjula. I have a blue piggie bank too. At the moment it is so heavy that it worries me it will fall on someone’s foot and fracture it. I hope its not those piggy bank’s that has to be broken. Swetha No, it has a opening underneath which can be blocked and released as per need.